Protect your peepers from the summer sun and add a bit of instant retro funk to your outfit with a pair of round, reflective sunglasses. We love this iridescent pair from Matthew Williamson, available with free international shipping from Shopbop. There’s nothing more versatile for early-summer days and nights out than a lightweight hoodie. Choose a pastel color, or white, and throw on with a pair of ripped denim shorts and sneakers for a laid back evening chilling by the Hangang River. 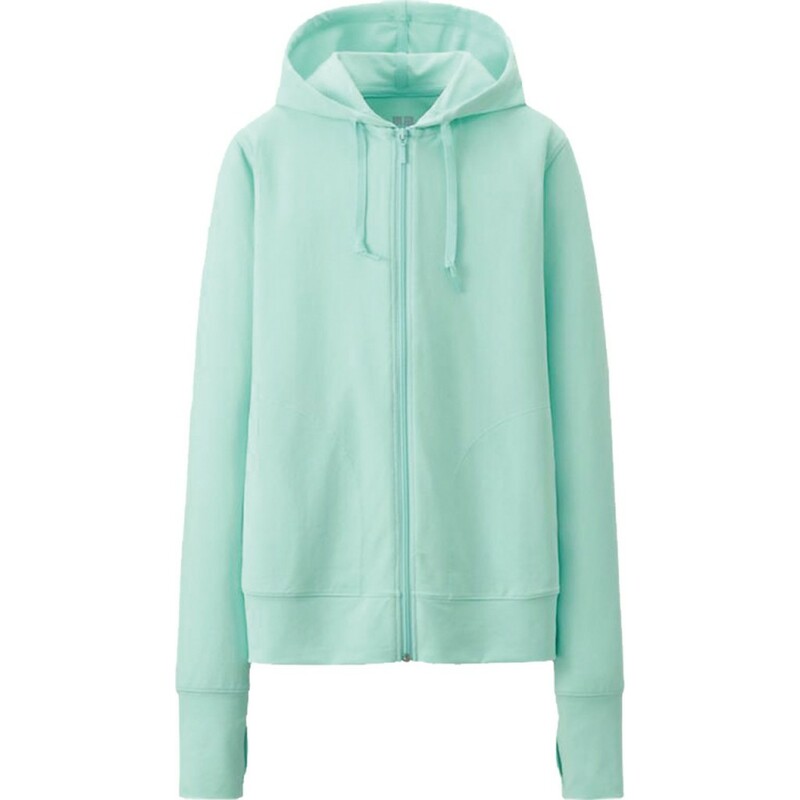 This zip-up version from Uniqlo is designed with ‘AIRism’ technology, especially with warmer weather in mind.